In this article we'll take it from where we left off last week and continue exploring the main effects you can find on a synth. Flanger and phaser effects stem from the delayed signal principle. According to this principle, the signal can be taken from the output to be resent to the input with a slight delay, or it can be split and mixed with a small time lag. 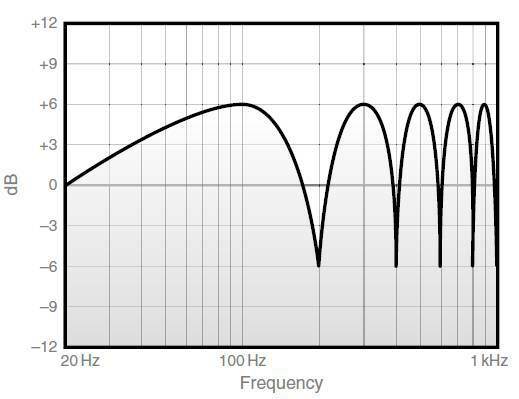 In both cases, this delay creates a phase difference between both signals with the well-known consequences (see article 2): Some frequencies will be boosted while others will be attenuated or even completely canceled out. 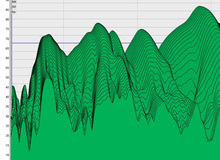 This is also known as a comb filter, because the spectral analysis of such a signal alternates between peaks (frequencies in phase) and dips (frequencies out of phase), like a comb. The sound of a flanger and a phaser is very similar. The differences between them have to do mainly with the way they work. 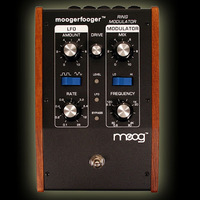 A flanger produces frequency peaks and dips of constant dimensions and at fixed intervals. Whereas with a phaser, the depth and width of the dips and peaks can be modified. A chorus is based on the multiplying of voices with a slight difference between them, be it a time delay, a slight alteration of the fundamental frequency or the use of a vibrato out of sync. 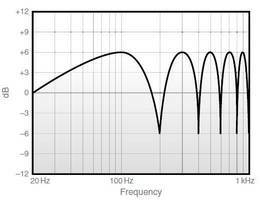 Ring modulation is an evolved form of amplitude modulation. The former takes its name from the structure of the electronic assembly that produces it. A ring modulator is, in fact, a series of diodes forming...a ring. Its operating principle is based on a carrier wave (C) whose amplitude is modulated by a modulating wave (M). The latter is often a sine wave, but not necessarily ─ don't hesitate to try other waveforms if your ring modulator allows it, you will get very different results! The carrier wave can be any signal, simple or complex, depending on what the architecture of your synth allows. 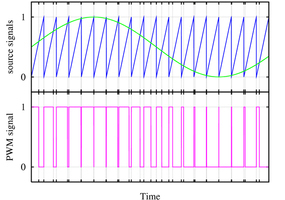 The effect produced by a ring modulator is very interesting. To put it simply, let's assume each of the waves, C and M, are sine waves. As long as the modulating wave doesn't exceed 20 Hz – in other words, as long as it's note audible to the humane ear – the ring modulator behaves a bit like an LFO (see article 6), and you get a tremolo effect. However, above 20 Hz, C and M are processed with the following result: The frequencies of the two original waves disappear and are replaced by two other frequencies. The first one is the result of summing the two original frequencies and the other one results from the difference between these same frequencies. The sound produced by a ring modulator is often considered harsh, since, generally speaking, the two frequencies resulting from the sum/difference of the original ones don't have any harmonic relation between them. When using more complex waveforms, the ring modulator generates two frequencies for each sine wave of the carrier and modulating waves. Another form of modulation often found on synths is the so-called "pulse width modulation" (PWM). Broadly speaking, in electronics, PWM is used to synthesize a continuous signal from an on/off signal. The latter is best represented by the asymmetrical square wave (a pulse wave) we saw in the fourth article of the series, which I invite you to reread if all this seems a bit too dense. In this case, the on and off modes are represented by the high and low output states of the resulting waveform. 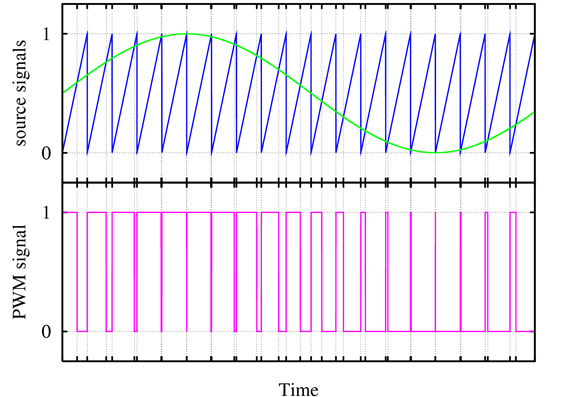 The idea is that you can simulate any type of continuous signal by affecting the cyclic relationship of the square wave in question, without changing its frequency. This principle is commonly used in domestic technology, for instance, to maintain a constant temperature by means of a thermostat without the need to continuously consume precious energy. Fortunately, there are no such problems in sound synthesis. But then, what's the use of PWM in music, you ask? Well, by simply varying the cyclic relationship, you are modifying the harmonic content of the waveform (but not the fundamental frequency or the overall amplitude). The modulation can be controlled by an LFO, giving it a cyclic motion. In our example, however, we varied the pulse width manually.